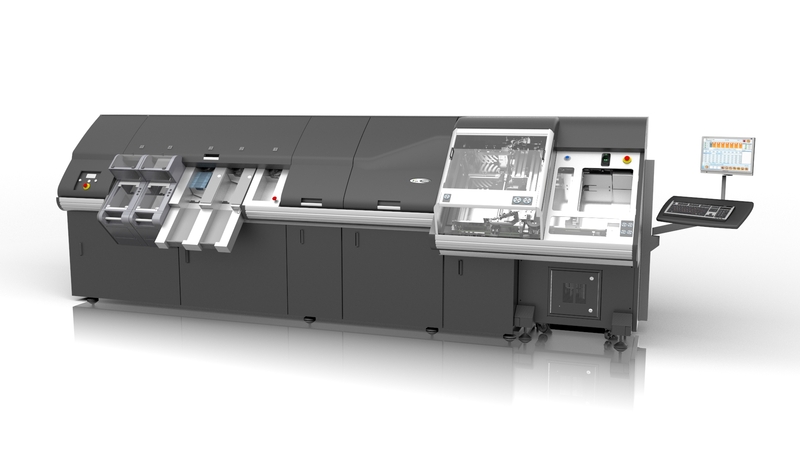 The 7000i™ is an evolution of our established 7000™ high-speed used note sorter. An industry leading high-resolution camera system, bander and in-pocket bundler and additional feeder options are just some of the new features of the 7000i. The 7000i has been designed with ﬂexibility in mind. The modular design and multiple options available make the 7000i fully configurable to your processing needs. The 7000i you select today can be configured and expanded as the demands on your currency processing change and multiply, new banknote designs are issued and security features are upgraded. The robust system design of the 7000i ensures complete accounting integrity, access control and regulatory compliance. Designed for large-volume cash operations, the 7000i has a throughput of up to 2,000 banknotes per minute. Our 10,000 banknote capacity feeder is the ultimate solution for the largest volume cash centres. The SmartFeed™ X10 can be fully loaded allowing the operator to complete other tasks while the banknotes are being processed. Our industry-leading high-resolution reﬂective cameras (RGB+IR), capture images of banknotes at the highest resolution in the industry, 150dpi as standard. The intelligent design means the operating software is capable of processing these high-resolution images even at top machine speed, enabling the highest levels of accuracy to be gained at the highest levels of productivity. Our in-pocket banding and bundling is capable of bundling at a speed of up to 2,000 banknotes per minute. Integration with our on-line packaging solution provides a fully automated, closed-loop bundling and packaging solution, optimising productivity. Adoption of efficient processing methodologies such as ACDP and QDP™ maximise throughput by enabling continuous running of the 7000i. The 7000i can handle both paper and polymer substrates and banknotes of all qualities, also allowing the system to work continuously. Our fully integrated end-to-end 7000i solution including on-line packaging and destruction, provides a closed-loop automated system with locked conveyors, eliminating the need for human intervention, maximising operational security. High throughput rate, multiple feeder options and on-line banding, bundling and packaging, maximising efficiency. Industry-leading high-resolution reflective cameras (RGB+IR) capturing images at 150dpi as standard, even at top machine speed. Optional serial number reading (OCR) available up to 200dpi. Open architecture allows seamless integration with networks and cash management systems such as ECM™ ISA as well as our BI platform used to optimise cash centre efficiency and KPI performance. Integration with ACDP, enabling the processing of multiple customer deposits continuously in one pass. Complemented by QDP which increases productivity by speeding up the reconciliation process. Capable of handling paper and polymer substrates and banknotes of all qualities, allowing the system to work continuously. The modular design means the 7000i you select today can be configured and expanded as the demands on your currency processing organisation change and multiply. Designed to be upgraded in the field, with minimum impact on day-to-day operations, providing a future-proof long-term investment that will adapt with you. Multiple user-defined security and access levels, smart card, biometric access options as well as a password protected GUI, optimising security and providing full traceability and audit trail. Depending on your volumes and desired levels of automation, our range of feeders means you can select the one that suits your needs. Our high-resolution reflective cameras capture images of the banknotes at an industry-leading standard of 150dpi resulting in more accurate fitness sorting. Our SmartDetect™ sensor suite is customised as required. Our flexible machine design and open architecture enable us to integrate third party sensors. With three output options, the 7000i™ can be configured to suit any processing environment, giving you the flexibility you need. For added efficiency and security, SmartPack™ provides shrink-wrapping of bundles of up to 1,000 banknotes. SmartShred™ provides total security and confidence in banknote destruction and includes destruction, air conveying and collection systems.